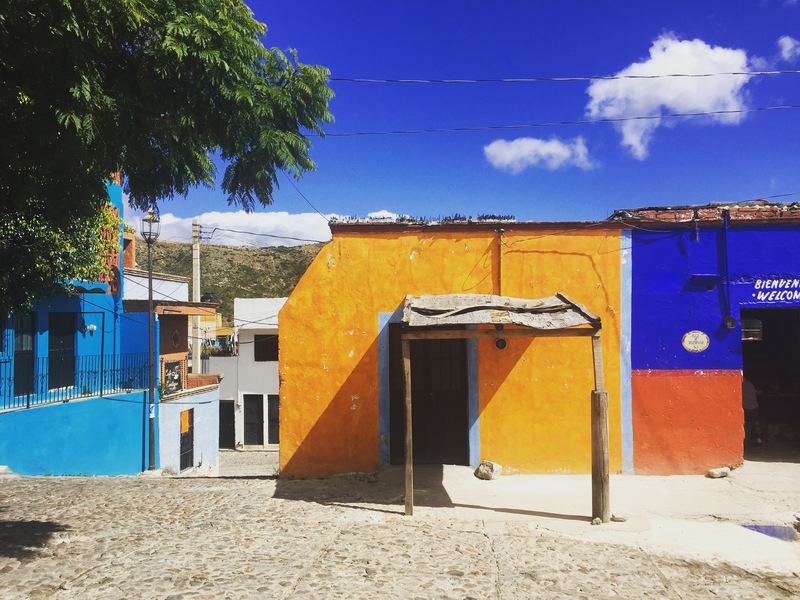 México on A Shoestring Budget – Where is Lydia? For the 55 days I was in Mexico I had budgeted to spend $35 USD a day for a total of $1,925.00. I only ended up spending $1,869 (about $34 USD a day). I was able to cut costs by taking buses or taxi collectivos from city to city instead of flying. I Couchsurfed or stayed in hostels with free breakfast instead of hotels. I also cooked meals in the hostels and mostly ate cheap street food. To get around the cities, I walked and took public transportation instead of cabs. 18% of my total budget was spent on accommodation for a total of $338 USD. That breaks down to about $6 per day. Hostels in Mexico range in price anywhere from $6 USD a night up to $15 USD depending on the amount of beds in the dorm room and what amenities you’re looking for. Dorm rooms with more beds in them are cheaper and you have the opportunity to make that many more new friends. Couchsurfing with locals also helped me to stay under budget. If you haven’t signed up for couchsurfing.com already, I highly recommend it. 26% of my budget was spent on food for a total of $488 USD (about $9 a day). I love to eat and wanted to try as many different Mexican street foods as possible. Each state has their own specialities, so it never gets boring. I will say though that it did a number on my waistline. My advice: try everything once or twice then cook the rest of your meals at the hostel. Vegetables are hard to come by in street food but are abundant and cheap at the local markets. 19% of my budget was spent on transportation for a total of $357 USD (about $6.50 per day). Again, I traveled around Mexico by bus. I normally chose 1st class buses just for comfort but so you can ride in 2nd class and lower your costs even more. I also mainly walked to get where I was going or used public transportation instead of cabs. 16% of my budget was spent on entertainment for a total of $306 USD (about $5.50 per day). Entertainment includes entrance fees to museums, ruins, national parks, cenotes, movie theatre tickets, club covers, pretty much anything I did for fun. This price could have been reduced by not going out as much but then I really wouldn’t have been making the most of my adventure. 20% of my budget was spent on miscellaneous items for a total of $381 USD (about $7 per day). This includes some colder weather clothing I bought for Mexico City and Guanajuato. The miscellaneous costs also include two weeks of Spanish classes I took, fees to use pubic restrooms (in many places you have to pay to use the restroom), and getting my laundry done. In Mexico, I spent about $1,000 USD a month. I was able to do most of the things I wanted, stayed in comfortable accommodations and never went hungry. You could reduce your costs even more by doing less activities, cooking your own food, and Couchsurfing. Travel is easy and affordable, you just have to want it. There will always be a million excuses as to why you can’t go or why now is not the right time. If seeing the world is something you’ve always dreamed about, then stop thinking about it, stop making excuses, just buy your ticket, and go. The rest will fall into place.